• Twins chief executive officer Jim Pohlad said shortly after the final playoff game that signing Ron Gardenhire to an extension is "a no-brainer." Gardenhire is under contract through 2011, but teams generally try to avoid going year-to-year with managers they intend to keep around and he's signed five different two-year deals with the Twins since taking over the job in 2002. Expect another two-year pact to be announced at some point this offseason. 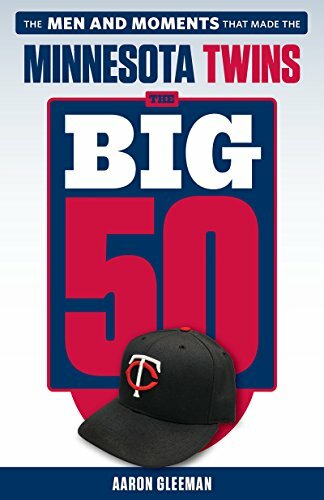 I've been blogging about the Twins since 2002 and during that time I've often been accused of being overly critical of Gardenhire, in part because many of his lineup decisions and in-game strategies frustrate me and in part because I believe his regular season success has been somewhat overstated by virtue of playing in a traditionally weak division. On the other hand, I've never even come close to calling for him to be fired and certainly wouldn't do so now. In nine years under Gardenhire the Twins have a miserable 18-57 record against the Yankees, including nine straight postseason losses to New York. However, he also has six division titles in nine years after the team had one winning season in the nine years before he took over for Tom Kelly and there's a strong chance Gardenhire will be named Manager of the Year shortly. I don't think Gardenhire is a great manager, but he's good enough and better than most. • John Perrotto of Baseball Prospectus reported last week that "the Twins have no plans to re-sign Orlando Hudson," which jibes with what I've been told from various people who know about such things. Outwardly he has a reputation for being a chatty jokester who lightens up a clubhouse, but I'm told he rubbed some people the wrong way and is highly unlikely to be back in 2011 despite giving the Twins more or less the production they should have expected. Signed to a one-year, $5 million contract in early February, he hit .284/.358/.402 through the end of August before putting together a horrible September. Hudson hit .268/.338/.372 in 126 games overall, which along with solid defense at second base made him a very nice pickup for $5 million, but the Twins may feel they can get 90 percent of the production for 10 percent of the cost in Alexi Casilla. I'm skeptical of Casilla as a full-time player, but it makes some sense. Hudson projects as a Type B free agent, so it'll be interesting to see if the Twins offer him the arbitration necessary to receive a compensatory draft pick and also risk him forcing them into another one-year contract by accepting. If he ends up instead ranking as a Type A free agent, Hudson's deal prohibits the Twins from offering him arbitration. I'd risk him accepting since the draft pick is valuable and the downside of him taking another one-year deal isn't so bad. • Terry Ryan was said to be on the Mets' list of candidates to replace general manager Omar Minaya, but Bob Nightengale of USA Today reports that Ryan "has no interest in going to New York." However, according to Nightengale he "will take a look" if a GM job for a "Midwest" team opens up, which is somewhat surprising. Any number of teams would be smart to go after the 57-year-old Ryan as their new GM, but it seems unlikely that he'd be interested. Ryan stepped down as GM of the Twins just three years ago and indicated at the time that he was tired of the day-to-day grind of the position that involved so many responsibilities beyond his preferred focus on simply evaluating players. In the three years since then he's remained very involved with the Twins as a "special assistant" to Bill Smith, so I'd hate to lose him. And not just because he was friendly to me at the winter meetings and admitted to liking AG.com. • Michael Cuddyer underwent arthroscopic knee surgery Wednesday after apparently playing through the injury for much of the year. Fans and media members love the notion of athletes playing through pain, but in Cuddyer's case he hit just .259/.322/.382 in the final two months and struggled defensively at first base. I'm certainly not suggesting that he should have had the surgery during the season, but perhaps starting 78 of the final 80 games was a mistake. • Charley Walters of the St. Paul Pioneer Press reports that "the Twins are leaning toward not offering Jacque Jones a contract for 2011." I'm sure that makes a certain segment of the fan base sad, but Jones is 35 years old and hit just .280/.319/.389 with a ghastly 84/18 K/BB ratio in 96 games at Triple-A. He hasn't been a productive hitter versus MLB pitching since 2007 and wasn't called up in September because the Twins didn't want to clear a 40-man roster spot. 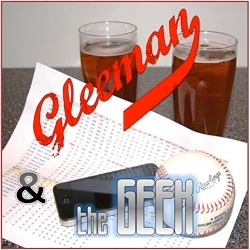 • Phil Mackey of 1500ESPN.com crunched the numbers on the Twins losing five straight ALDS matchups dating back to 2003 and found that the lineup produced a cumulative .244/.297/.359 line in 650 plate appearances and 17 games. Mackey also points out that .244/.297/.359 looks awfully similar to .246/.293/.349, which is Carlos Gomez's career mark. In other words, while going 2-15 in their last five playoff series the Twins' lineup has combined hit just like Gomez. • And last but not least: Gardenhire in pixel form. Casilla played very well for a stretch a few years back, and I thought he showed some flashes this year. His four RBI game the last weekend gave the Twins their only win the last week. I think he deserves another shot. There are far better ways $5 million could be spent then on what we got from Hudson. I’m surpised he played in that many games – it seemed like he was hurt all the time. I’d like to see them do the same thing at shortstop. Hardy just doesn’t do it for me, and he was hurt all the time as well. Plouffe was drafted to be the shortstop of the future – give him the job. And please, please, please, do not let Nick Punto be on this team next year. Plouffe is not the answer at SS. A thought occurred to me while watching the Braves-Giants series. Does Gardenhire = Bobby Cox? Players managers who flamed out for the most part in the playoffs. They seemed very similar to me. Wow, that Carlos Gomes = Twins playoff offense is depressing but at least gives me hope that if they could hit just decent they could win a world series one of these years. Cox: WS appearances in 91, 92, 95, 96, 99. Won it in 95. Something like 60 playoff wins. Gardy: 1 ALCS appearance. 6 wins. 12 straight losses. Fair enough, Arnold. But Cox had much better talent to work with, and his teams are considered to have underachieved some. In my mind, Cox is a legitimate HOF manager, and Gardenhire is not, but the comparison of managerial styles and short-comings is illustrative. Plus, Gardenhire is the only active manager with a fighting chance at Cox’s ejection record. Rob, I hope that your write off of Plouffe is not just based on his 41 major league at bats. He hit .244/.300/.430 at Rochester this year, and hit 15 homers in part of a season there and two more with the Twins. As with Casilla and Hudson, I think he could be 90 percent of the player (which won’t take much) at 10 percent of the cost. A little defense of Cuddyer here, even though I am generally not one of his supporters…yes, he was inconsistent this year, and yes, signing him to that deal was probably a mistake. But on a team full of guys that are either unable or unwilling to play through nagging injuries (not counting Morneau and his legitimate concussion problems), I can’t rip Cuddyer for toughing out that injury and putting up the line he did as our everyday 1st basemen starting on July 8th. Heck, we didn’t even really HAVE a backup 1st baseman, and it’s not like Cuddyer’s game is based on speed. On Gardenhire, my heart actually feels like we need a managing change, while my head says that he should definitely be retained. Since 2002, the Twins have had this almost “Moneyball”-like identity to them, where the commodity isn’t sabermetrics or on-base percentage, but rah-rah team chemistry and selflessness. Degrade that you all you want (particularly when the Yankees or A’s steamroll over us the last in the last 5 ALDS), but it appeals to this market and puts fans in the seats. My point is, that while I think there is something wrong with the psyche of this team (and that Gardenhire’s babying is part of that), you ultimately lose a lot more than you gain by gutting the central identity of this team after a 90-odd win season. Even though the White Sox have a title and the Tigers had a WS berth, I don’t think there’s any question that this has been the best team in the AL Central for the bulk of the last decade, and Gardenhire has been a big part of that. As much as he’s been wrong, his willingness to admit failure and put the guys in the lineup who are actually producing have helped this team become a real force in the 2nd half. People assume that would just continue with or without Gardy, but I’m not sure about that. I wholeheartedly agree that Cuddyer’s game is not based on speed – neither is Young’s nor Kubel’s. Therein lies some of the problem for the Twins outfield defense. Not hard to finish 2nd in least amount of errors when you cant get to anything … It would also be nice if Span was more than a barely adequate center fielder. Hudson rubbed me the wrong way with some of the boneheaded plays he made. Good riddance. Just for the record – the vocal majority is hoping for a Valencia (3b), Plouffe (SS), Casilla (2b), Cuddyer/Morneau/God only knows (1b) infield for next year? I can remember just 12 months ago the vocal majority was REALLY upset about a Harris, Tolbert, Punto, Morneau infield. Arent the two almost identical? If not, someone make the case why they aren’t. Extrapolating Danny Valencia into a .320/375/425 hitter over a 162 game season is like the only case that could be made. Do Valencia’s pro at bats to this point really suggest that? You don’t think Valencia’s earned a shot at 3rd? And I, for one, don’t want Trevor Plouffe having anything to do with the 2011 Twins. Casila, I suppose I could live with. You’d think the Twins would have grown tired of the patch ‘n’ play method to their middle infielders of the last, I don’t know, 20 years. But that’s fine, keep spending all your high draft picks on finesse pitchers identical to 4-5 pitchers already on your staff who can’t stay healthy past 101 pitches in a game or July in a season. Casilla would bring speed to the team which we desperately need. Some of the most amazing defensive plays i’ve seen have been done by Casilla at 2b. I think the team would actually be better if he was our 2B over Hudson. Infield of Morneau, Casilla, Hardy, and Valencia is pretty good I think. Wow. The worst aspect of this website is the weird, unfounded hope that the Twins could win the world series, despite all evidence to the contrary. Especially the way these playoffs are playing out. Yes, an infield of Casilla, Tolbert, Valencia, Plouffe or whoever are just fine. They are deck chairs on the Titanic. This is fine as long as the money saved goes towards acquiring an ace pitcher for the playoffs. You cannot ever hit your way into playoff victories consistently. It’s never happened, ever. So we can’t get the ace pitchers? Then please stop talking about the playoffs. Keep it real on improving the team for the Central division only. You don’t fire Gardy you’re telling these guys that failure in the playoffs is just fine. Maybe just getting there was enough with a payroll around 50-60 mil, but not at 100 mil. Need to do something to push this team a little. Otherwise the fans will get disinterested in the new field soon enough. If Hudson leaving is a done deal then the Twins need to resign Hardy. V, Hardy, Casilla and Justin is a palatable infiled. We need some speed in the outfield. And of course an ACE pitcher. Maybe go with what you have and pick up an ace at the deadline. Don’t know who will be available in 2011. I like most of what GArdy brings, like players, why can’t we (Bill Smith) tweak Gardy a bit? Also, as far as having an ace is concerned, we had one. His name was Johan Santana, he was amazing, and the team still didn’t do anything in the playoffs. When a player has a bad game, you blame the player. When an entire team has a bad series (especially year after year) you blame the manager. Hardy only played in 101 games, and only managed to hit .268/.320/.394. At $5M, I don’t know what people think we are getting from him. Fine. Two aces then. Liriano is not one of them yet. Two seems to be what it takes in the playoffs this year.